No matter where in the world you live, you’re working for the weekend. How much you can enjoy said weekend, though, varies greatly from country to country. 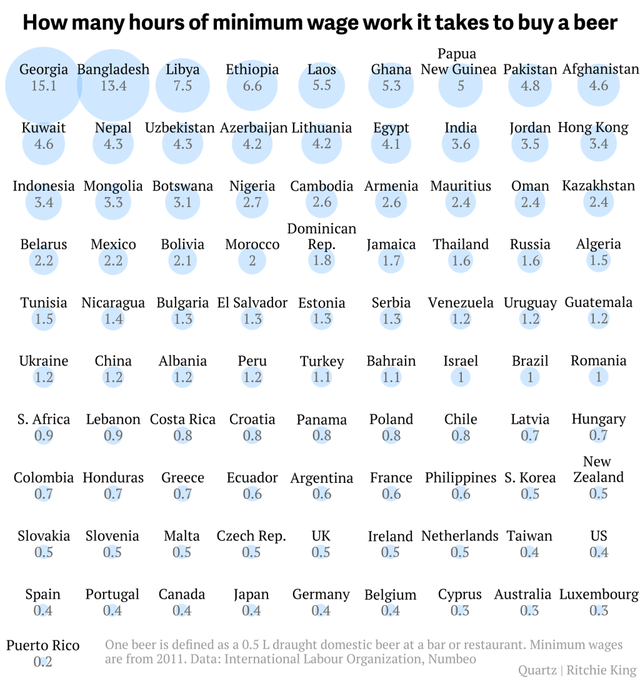 Meet Quartz’s Beer Index. It’ll make you glad you’re not in Georgia.